There are over 100 million records online and It’s now possible to trace almost every Irish family back to the 1830’s. Put some order to the information gathered, keep detailed research notes. ALWAYS note the doc.reference number so you can find it again. Late registration of vital records are always bound in the year in which the event happened. There are Army registers of Births,Marriages and Deaths of soldiers in service overseas (and family) from 1888. There is an earlier register of BMDs online www.findmypast.co.uk This contains Births from 1761, Deaths and Marriages from 1790. Almost the entire 19th C. census of Ireland was destroyed, but there are some surviving fragments for half a million people between 1821 and 1851. In the 1830s Catholic parishes and records were re-organised and it’s possible to trace almost all Irish families back to this time. Catholic registers of baptisms and marriages are held locally by the parish priest. Only a minority of catholic parishes ever kept burial registers. If you want to trace a church record after 1880, you will have to apply directly to the parish. The Church of Ireland was the State church up to 1869, and kept burial registers for the parish. Surviving parish registers usually start much earlier than RC parish registers, often in the 1700s, sometimes earlier. 63% of all historic records of the Church of Ireland were destroyed in 1922. The most comprehensive list of what records survive, and where they can be accessed, is the Irish Family History Society’s guide to church of Ireland parish registers. Between 1747 and 1818 all Methodist records were kept in the Church of Ireland parish registers. Primitive Methodist records were still maintained in the Church of Ireland registers as before. Presbyterians have been present in Ireland from the 1600s, but the majority of Presbyterian registers do not start before the 1800s. The society of Friends have been present in Ireland since the 1650s, and their records are extensive but provide some coverage for non-quakers. Since 1660 there has been a Jewish community in Ireland, mainly in Dublin. From 1880 pogroms in Eastern Europe led to further immigration into Ireland by Jewish refugees. Jewish settlement in Ireland never went above 4000, many of whom emigrated in subsequent generations. To access records, contact the Irish Jewish Museum, 3-4 Walworth Street (off Victoria St.), South Circular Road, Dublin 8. Tel/Fax: +353 1 490 1857. Griffith’s Valuation and the records of the Valuation Office are central to tracing your family history, & to trace living relatives. The records of the Valuation Office are a government survey of all land and property in Ireland for the purposes of setting a property tax. 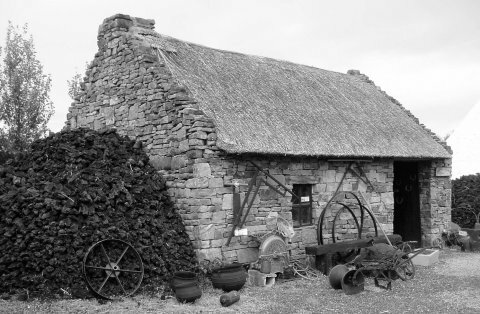 the Valuation Office records were regularly updated from the 1850s to the 1980s to ensure that everyone in Ireland paid the correct property tax. These records can be used as a census substitute and to trace any descendants of your ancestors that remained in Ireland. There are now over 100 million online Irish records, and it’s possible to trace almost every Irish family back to the 1830s. The best website for Irish research is www.findmypast with over 75 million unique Irish records. www.familysearch.org is the key portal site for genealogy online, and it provides access to many of the worldwide genealogical records provided by the Church of Latter Day Saints. www.ancestry.com The critical Irish sources on this website are immigration records from Ireland to the major U.S ports ca. 1820s-1940s and U.S. Census returns, both of which can be used For ‘reverse genealogy’. Ancestry recently and controversially put online some Irish RC church records without first securing permission from the church authorities. This website is one of only two that hosts the complete version of Griffith’s Valuation, including the original maps,You will also find English and Welsh records online, so it’s particularly useful for tracing records of Irish immigrants to England in the 19th and 20th Century. Subscribe to the Eneclann Newsletter for regular updates on new sources and Irish Genealogy news. This entry was posted in News, Research Tips, Uncategorized and tagged 1930'3 how to Trace your roots, advice, archive, competitions, email, Eneclann, Family History, findmypast, Fiona Fitzsimons, Genealogy, Ireland, Irish, news, newsletter, online, publications, research, Research experts, subscribe, subscription.